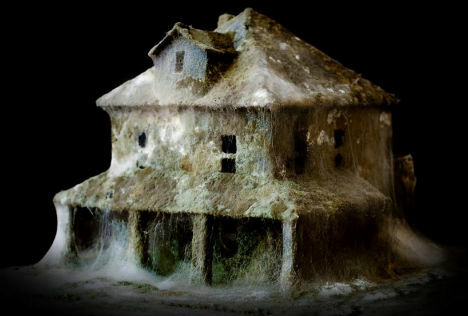 A tiny paper village blooms with a thick, cobwebby coating of multi-colored mold, left to decay just as every structure ever built by man would eventually do if humans were to disappear. 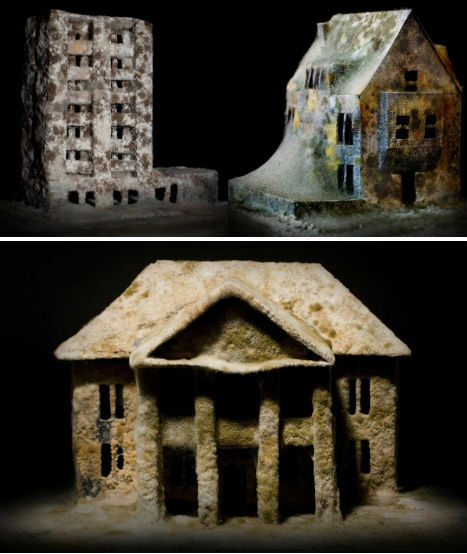 Italian artist Daniele Del Nero painstakingly constructed these architectural scale models out of black paper and covered them with a layer of flour and mold to mimic the effect of deteriorating abandoned buildings. 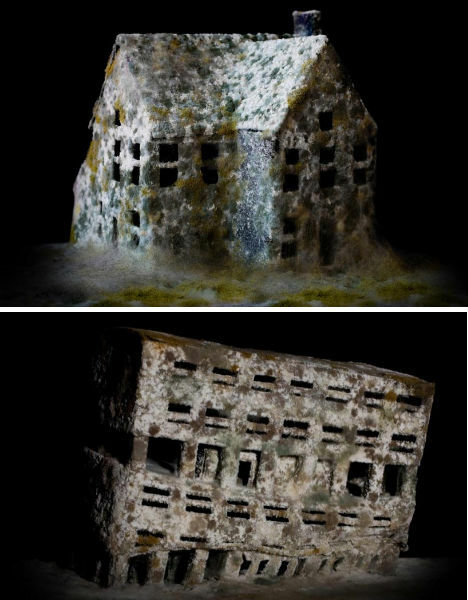 “My purpose is to talk about the sense of time and destiny of the planet after the human species, through the sense of restlessness which abandoned buildings are able to communicate,” says Del Nero. 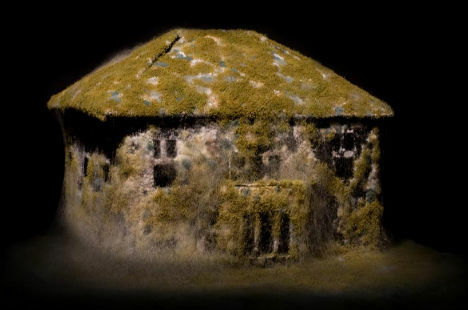 Reminiscent of the History Channel series Life After People, ‘After Effects’ gives us an intriguing and somewhat unsettling taste of just how quickly our civilizations would fall into disrepair if we weren’t around to preserve them. Del Nero initially intended only to photograph his models and then discard them, but is now keeping them as an exhibit unto themselves, protected in a plexiglass case.